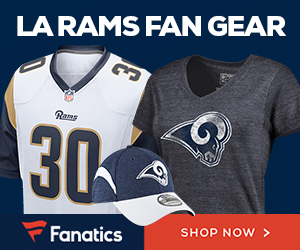 « Poll: MNF – Who Wins the NFC West Battle – Rams or 49ers? So we’re stuck talking about the basics: control SF RB Frank Gore, get pressure on QB Kaepernick and make sure he’s always accounted for (the man can run), don’t leave their receivers wide open… yada, yada, yada. In other words play good. Our games against the 49ers are always very physical and of course this game has the added dimension of being on Monday Night Football. A national audience always gets the blood boiling. Let’s be honest… we’ve been playing bad in just about every area. Philly had its way with our o-line. We can’t seem to stop the run for our lives, and we havent’ had an offensive run over 20 yards all year. If we play this way next Monday, we’re gonna get hurt. Now, can we win? Absolutely. We have the ability and playing on MNF gives us the motivation. We have to want it more than the 49ers. The 49ers have been sloppy and sporadic. Their defense is not what it used to be and Kaepernick has been the poster child of confusion on occasion. They are hanging just above .500 for the season and are prime for a take down. So let’s do this! 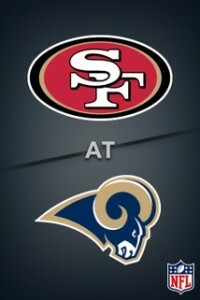 Go Rams!! !